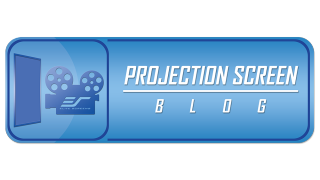 Elite screens has launched an educational blog geared toward answering the tough questions that people are afraid to ask about the projection screen industry. People have a lot of questions about projectors and screens, but for many, they feel embarrassed about not knowing the answer. More importantly, many who work in the industry are afraid that their reputation may be tainted if it got out that they were not 100 percent fluent on any particular AV topic. Although it’s not likely that there’s someone out there who is an absolute authority of everything AV, admitting that is still awkward nonetheless. On the ES Projector Screen Blog, these questions can be answered in detail through a discreet and informative source. Industry writer, Dave Rodgers will be writing content and administrating over the site. He has over 20 years experience in the technology industry and has made numerous TV, radio, print, and online appearances giving advice on the many topics shared on the blog. Elite Screens aims to share the combined knowledge from its staff of product and industry professionals to advance the general knowledge of this industry and its customers. If you don’t see what you’re looking for, send us an email at screenblog@elitescreens.com.